A feast of orchestral music performed by the RIAM Symphony Orchestra and the RIAM Intermediate orchestra. James Cavanagh, conductor. The exuberant members of the RIAM Intermediate and Symphony Orchestras perform under the baton of James Cavanagh in the magnificent setting of Christ Church Cathedral. 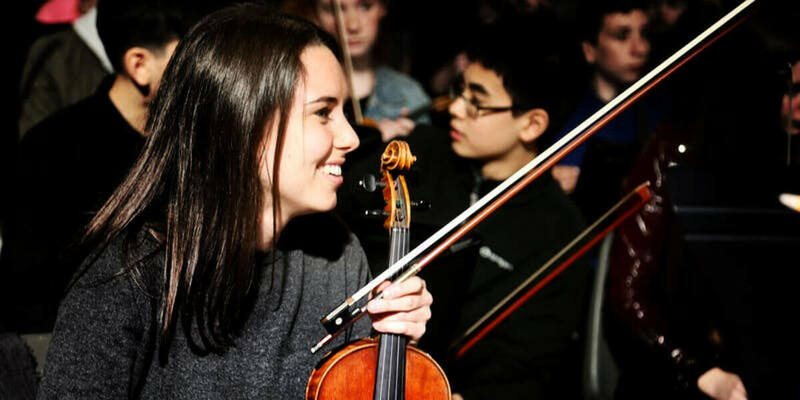 In addition to a delightful potpourri of music played by the RIAM Intermediate Orchestra, audiences at Christ Church can also look forward to a performance of Shostakovich's colourful First Symphony, delivered with spirited aplomb by the young musicians of the RIAMSO.